Employees of the store are showing up for work, but with business reportedly down about 90 percent, they have little to do. 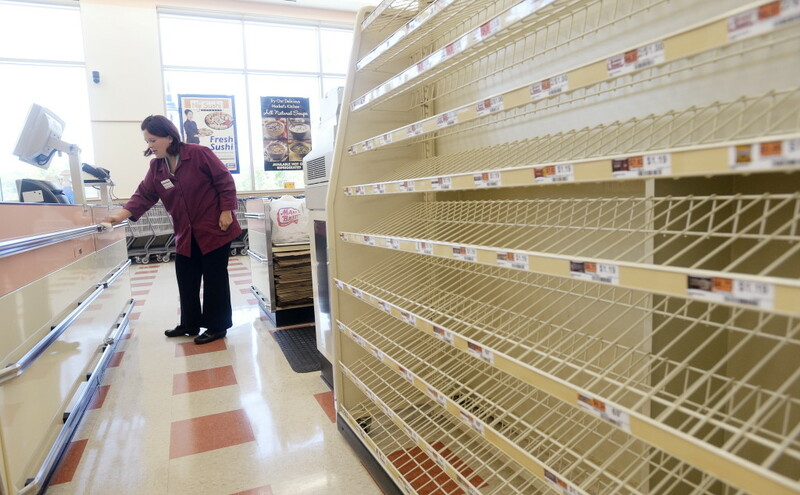 BIDDEFORD — Micum McIntire, manager of Maine’s only Market Basket store, spent most of Monday in an office overlooking the empty supermarket and glued to television coverage coming out of Massachusetts, where the grocery chain is headquartered. 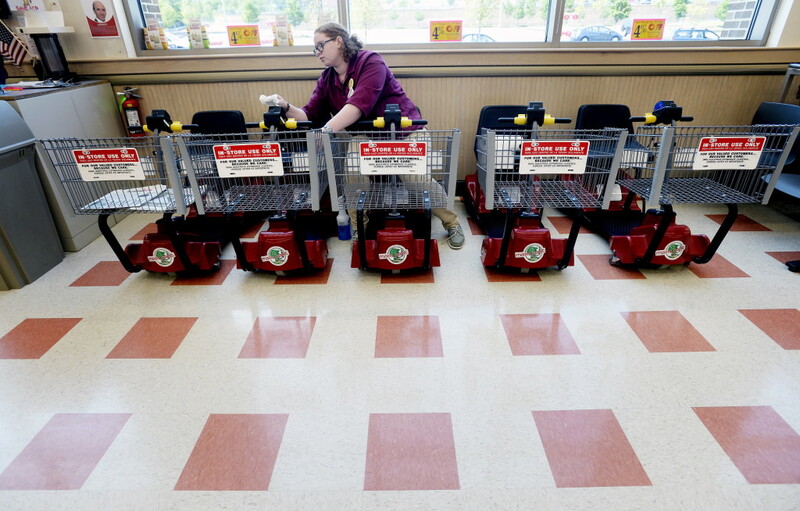 The 35-year Market Basket employee was hoping, like many others, that good news would break about the company’s future and things would return to normal at the Biddeford store, one of 71 throughout New England. The company has been in turmoil since the June 23 ouster of chief executive officer Arthur T. Demoulas, which led to protests by employees who want their beloved CEO reinstated. Demoulas was the loser in a battle for control of the family-owned business, where infighting between two factions goes back decades but never before has had a widespread impact on the $3.5 billion company. Demoulas, one of several shareholders, has been trying to buy a controlling stake in the company and on Sunday offered to assume temporary control while a deal is worked out. That’s a resolution McIntire was rooting for. 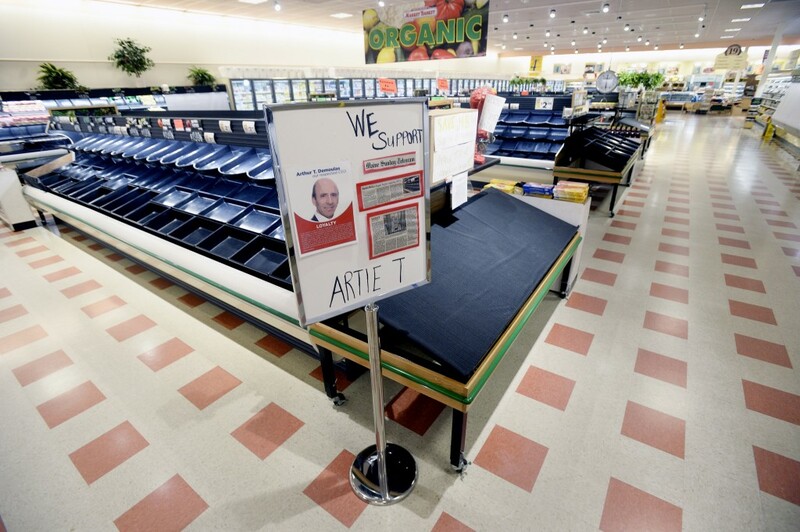 That loyalty is pervasive throughout the Market Basket chain and the reason hundreds of warehouse workers and drivers have refused to make deliveries over the past two weeks, action that has led to severely depleted store shelves and a boycott by customers who support the workers and Demoulas. 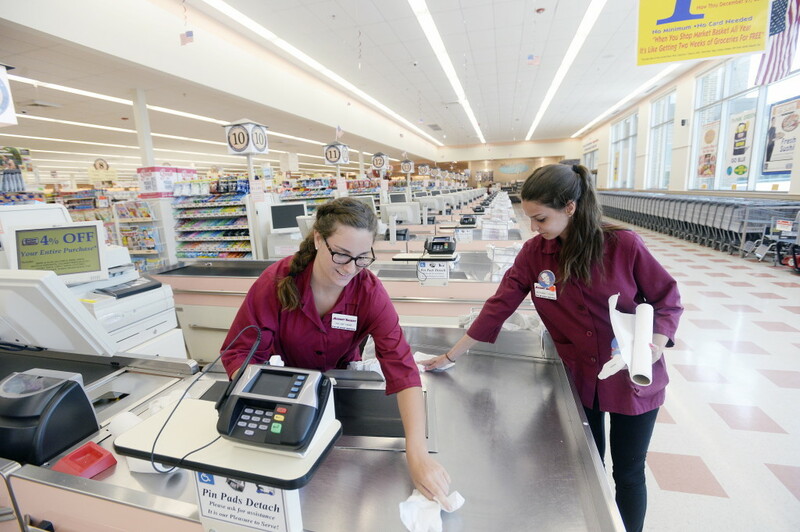 Most of those workers were expected to defy an order from the new Market Basket management to return to work or risk being replaced. 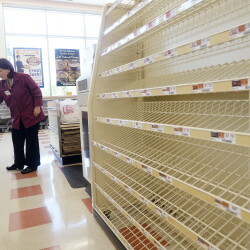 No workers in Biddeford were expected to be affected by the return-to-work decree. “It’s too bad, because we’ve really built up a good customer base and I’ve been telling them to go elsewhere,” McIntire said. The board, for its part, has not blinked amid the protests and lost business, which some industry observers have estimated is roughly $10 million per day. It has steadfastly affirmed its support for the two new co-chief executives who replaced Demoulas and the company has moved forward with plans to replace some protesting workers, most of whom are salaried. In full-page ads taken out in the region’s newspapers last week, the company said it would attempt to recruit store directors, assistant directors, grocery buyers, perishable buyers and accountants. The company scheduled a three-day job fair in Andover, Massachusetts, that began Monday with a session for current employees who might be interested in promotions. The company said it is accepting online applications so the current workers don’t have to fear “intimidation or harassment,” according to a report from The Associated Press. Trainor, who has worked for the company for 41 years, was fired last month for helping to organize the protests. Steve Paulenka, another of the eight supervisors fired last month, told AP that about 200 employees and customers protested peacefully outside the job fair, holding signs calling for the reinstatement of Demoulas. Paulenka did not see any current employees going inside the building to apply for new jobs. The company had given workers a Monday deadline to return or work or risk being replaced. Trainor told the AP no additional employees received termination letters Monday. He said during the past two weeks, the company has hired some temporary warehouse workers, but only a fraction of deliveries were being made. McIntire said none of his 450 employees, 60 of whom are full-time, will be targeted for replacement because they have all been coming to work, even if they have little to do. 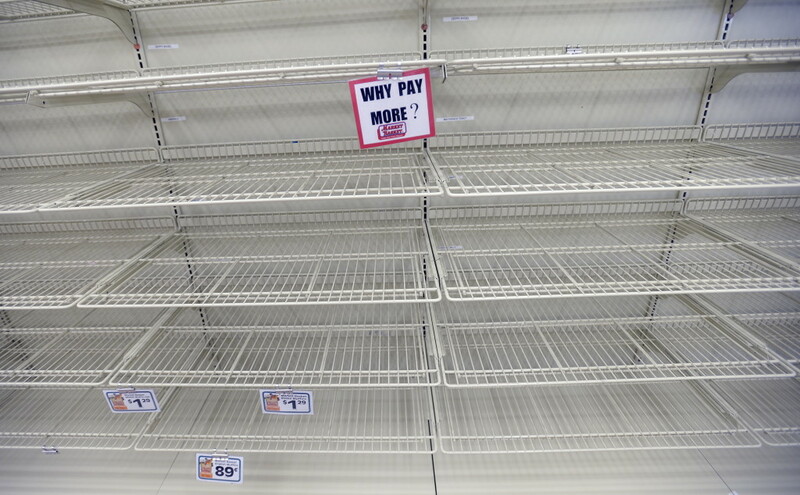 On Monday, the store was devoid of customers and the dozen or so workers spent their time cleaning and organizing shelves that already have been cleaned and organized. One employee joked that the store probably hasn’t looked this good since the grand opening, nearly one year ago. In addition to Arthur T. Demoulas’ offer to buy the company, other buyout offers have been tendered as well. McIntire said he doesn’t know whether a future sale of the company will affect operations in Biddeford, but with any ownership change there’s always a concern about layoffs.